This title features striking, unique aerial photography of the largest truly-deserted expanses of land on Earth. 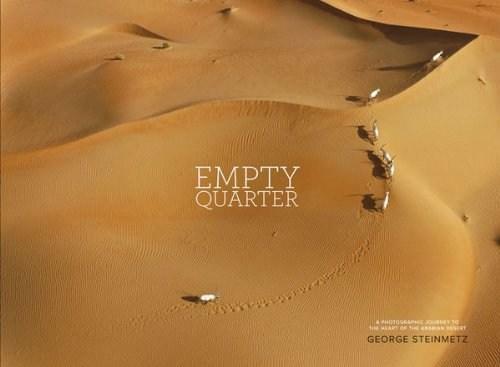 Aerial photographer George Steinmetz, shooting from a motorized paraglider, has created an unparalleled portrait of Rub'al-Khali, or 'the Empty Quarter', one of the largest - and harshest - sand deserts in the world. Although only a fraction of the size of its giant neighbour, the Sahara, the Empty Quarter's punishing terrain has rarely been captured on film and never from such a striking perspective. Old maps, satellite images and a dose of Arabic hospitality enabled Steinmetz to venture where few had ever been before, revealing through his photographs a true wilderness, without a single permanent human habitation or known point of water and preserved by its harsh climate and extreme remoteness, as well as a fascinating tradition of a hardy people living at its edges. For experienced travellers or explorers who have heard of Rub'al-Khali, entering the heart of the Arabian Desert is truly the ultimate experience.